AFAA has been a round for over 30 years and enjoys a moderate level of name recognition for its many certifications including personal training and various group exercise specialties. But AFAA has struggled to become a major player in the industry because they are not NCCA Accredited. They will argue that DETC Accreditation is superior, but in the personal training industry the NCCA is the dominant accreditation. If you are looking for an NCCA Accredited certification, you should look elsewhere. AFAA provides flexibility in its choice of two certification programs. You can attend a three day workshop or pursue an online certification. But don't be fooled, both courses will require extensive self study. We will address both programs in this review. The three day workshops are held often in major cities and in some more remote locations. You will need to plan ahead to attend the workshop and may need to factor in travel costs if overnight hotels are required. The AFAA workshop is very intense. You will get a lot of training in a very short period. You need to study extensively in advance. We have heard of many people who attended the workshop unprepared and did not come close to passing the exam. That would be a very expensive mistake. You really do have to be good with self-study or else you will find it difficult to learn the material in the program. The On-site Workshop cost $499 and includes the exam fees, a study guide and your AFAA membership. It does NOT include the textbook or practice exams which will add another $89 to your total. The course can also be taken to earn 15 CEUs (no certification) for $255. Finishing a 120 question multiple choice exam leads to AFAA certification. Please be aware, in order to receive the certificate, additional certification in CPR/AED is required. Once the workshop is completed successfully, a AFAA Certified Personal Trainer certificate and I.D. Card will both be issued. You must complete the course within one year to avoid a $40 fee. The online version of the AFAA program revolves around 14 recorded video lectures along with a study guide and sample multiple choice questions. Also included is one 50 minute group session with instructors. 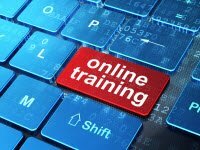 The online training platform allows students to work with instructors in an interactive manner through video web conferencing. Additional individual sessions can be purchased for $40 if more assistance is required. The exam consists of 120 multiple choice exams plus a practical component that is also done online with an AFAA instructor. The online program also requires both CPR/AED certification. You will also need a computer with a webcam and microphone. The online certification program costs $499. But AFAA sometimes offers specials as low as $299. Remember that the cost of the textbook and practice exams are extra. 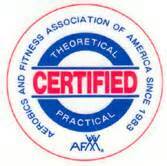 The AFAA Certification recommended textbook is Personal Fitness Training: Theory & Practice Textbook by Mary M. Yoke. The 2nd Edition of the book is 468 pages and is available for $69 plus shipping. The textbook covers exercise science, fitness testing procedures, obesity, nutrition & weight control, special populations & special medical considerations, behavior modification techniques and listening, leadership and motivational skills. 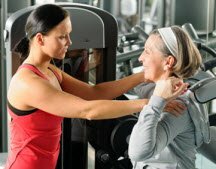 AFAA requires 15 CEUs to extend your personal trainer certification after the initial 2 year period. They offer a wide range of courses that can be completed online or through workshops including aqua fitness, training seniors and more. AFAA is a good fit for people who don't need NCCA Accreditation and want the convenience of an online course. Check out what our readers are saying about AFAA Certification below. What do you think about the AFAA certification? While we don't love AFAA because of its choice to not get NCCA Accreditation, what do you think about the program? The first hand experience of our readers is very valuable. Check out what they have to say about AFAA. Has anyone been certified through AFAA?